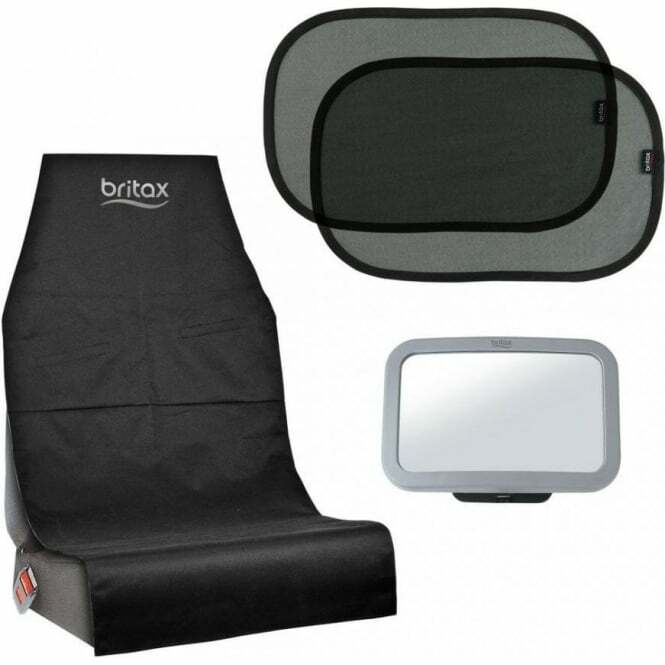 The Britax Rear Facing Car Seat Bundle includes a seat cover, window shades and a back seat mirror - everything you need to protect and keep an eye on a rear facing passenger. 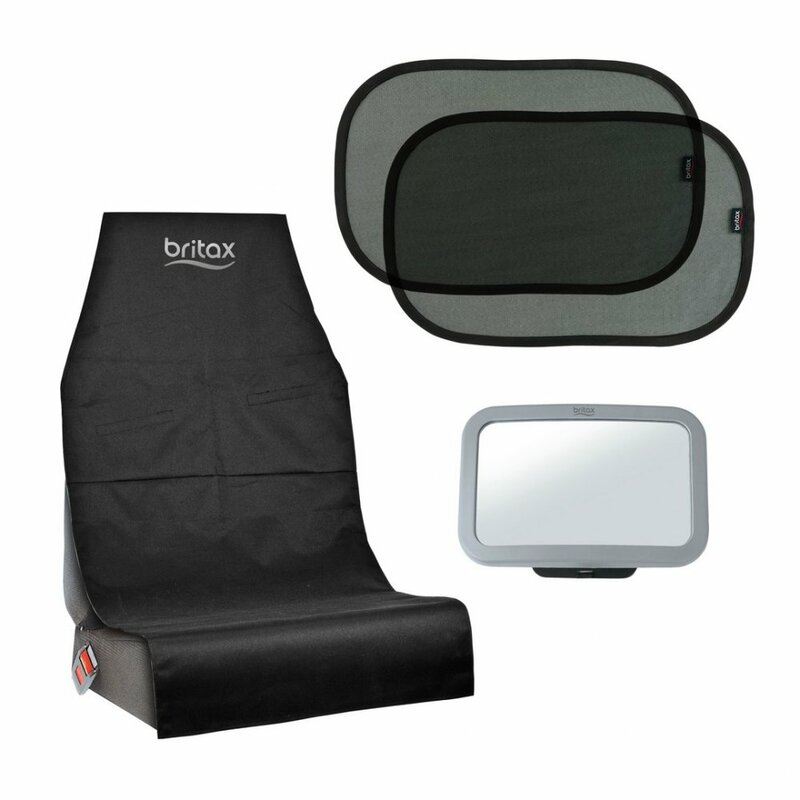 Extra-large convex mirror with pivot attachment provides an expanded view of baby at any angle while allowing you to install on an adjacent vehicle head rest. Unique cling design with a lightweight, reinforced frame simplifi es application and repositioning. UPV 30+ protection blocks UV sun rays. 2 shades included. Protects your vehicle’s upholstery from spills and is designed to work with belted seats as well as ISOFIX seats.